Discussion in 'iPod touch' started by Falconzblue, Mar 21, 2013. 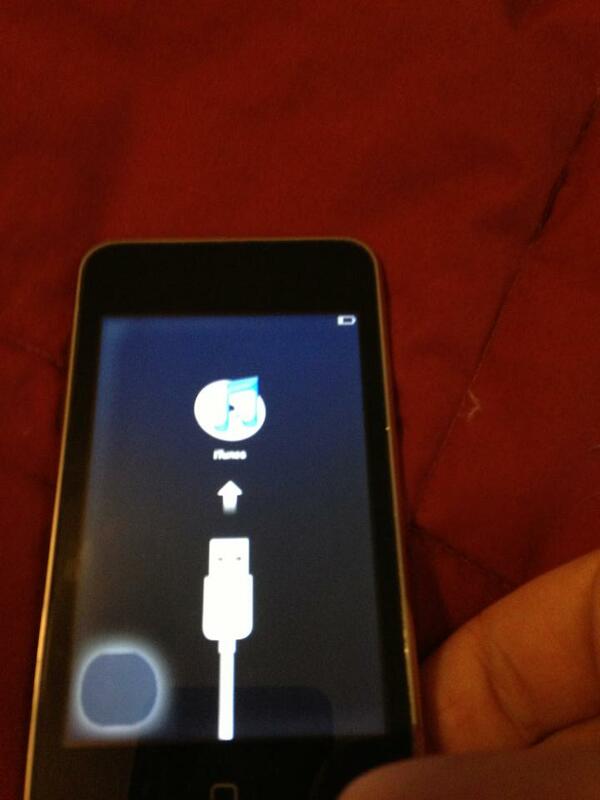 I'm looking for a little assistance with an ipod touch, pretty sure its a second generation. I recently acquired it for cheap, but it is stuck on the screen with a picture of a usb cable and the itunes logo. I can't seem to bypass this. Here is a picture of what I'm dealing with. I'm not a huge apple user, so when it comes to fixing iPods I'm a little lost. I tried DFU but I couldn't seem to get it to work. If thats what I need to do, I would love a better explanation of how to do it, since the guide I found confused me a little bit. As far as I know it has no damage to it, and is aprox 4 years old, and is not jailbroken. I bought it used, so I cant confirm these statements yet. When you attempt a restore what error code are you getting? Google your question and it will explain exactly what to do. Choose to set up as new not from back up when asked. Make sure u have the latest version of iTunes installed. You really don't have any problems at this point. Trust me u will see. It's right where it should be the last owned simply cleared all data and hit the restore button while the iPod was not connected to iTunes, to clear out all of their info. If neither this nor DFU work, troubleshoot your iTunes installation. If iTunes can't detect any iOS device, it can't "detect a device in Recovery Mode."